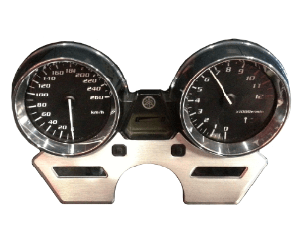 We have several fixed repair prices, 0 to 3, as indicated by each counter unit / dashboard. This category is calculated for small repairs that do not require expensive parts to be replaced and / or if the estimated repair time is no longer than one hour. 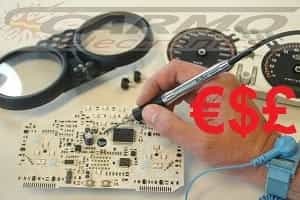 You pay this amount if your dashboard has been repaired by Carmo. It is a fixed price, including the test costs. - Repair within 3 working days. - We identify the cause of defect, so you can prevent that the unit goes defect again.